Whether you want to call it Caribbean sailboat charter or yacht charter you will find that the region has some of the best sailing waters in the world. Those visitors who have experienced this will tell you that there are hundreds of amazing small islands that you will be able to enjoy when you choose this option for a Caribbean vacation. In fact, the region has over seven thousand small islands and isles to explore. This is broken down into just over thirty territory and it will be rare for a group of islands to be more than one hundred miles apart from each other. This is one of the main reasons why the Caribbean is just such a fabulous sailing destination. We are strong advocates of the normal vacation where you stay are a resort and enjoy tonnes for fun activities and be pampered in luxury. You may get the opportunity to island hop to a few of the neighbour islands as well. However, Caribbean sailboat boat charter is another dimension of the incredible holiday opportunities you will get to enjoy in the Caribbean. This will give you an even greater opportunity to enjoy many more of the top countries in the region's culture and their beauty. You will find that most destinations will offer some opportunity to go sailing. However, the Virgin Islands which are owned by the United States and England along with the Grenadines owned by St. Vincent and Grenada are two of the best places you will find to really enjoy sailing in the Caribbean. In addition, you will find that these places have a diverse range of yachts and sailboats that will find the one that is most ideal for your vacation. You may harbour doubts about how skilful the sailors in these small islands are? But, for starters the natives on these islands make their living using the different resources and attractions found at sea, so you will realize that you are dealing with persons who living practically on the waters. However, you may want to see as many of the Caribbean islands as you possibly can, but you have limited sailing experiences. Both the Grenadines and the Virgin islands will provide you with all the necessary service personnels, skippered and bareboat the will ensure you have the time of your life in the region. 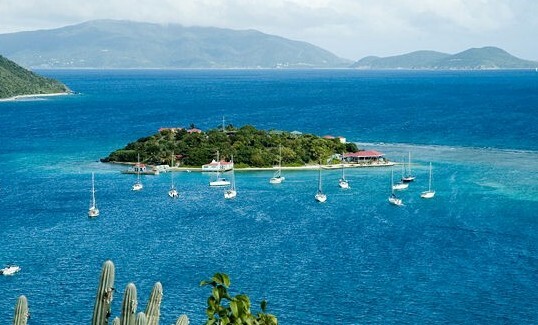 The British and United States Virgin Islands are located east of the Puerto Rico. In fact, St. Thomas which is one of the United States owned island will provide direct access to all of the islands in the territories. The most popular time of the year for sailing in these islands are December to May. The Northeast Trade Winds that are usually present during the Northern Hemisphere winter months offers some of the best sailing opportunities in the Virgin Islands. Accompanying this is beautiful tropical weather for you to enjoy. The Caribbean sailboat charter you will find in these two territories are simply amazing. Our list will be too long if we have to name sailboat charters in these islands. However, you must be prepared to have your different meals on various islands when you are holidaying in the Virgin Islands in one day period. This is just an awesome experience. You will have lots of fun place to explore. There are fabulous diving, snorkeling, jet skiing, surfing, sunbathing and swimming options you can enjoy as well. One of the largest and most spectacular coral reef is located in the territory. The Grenadines are located in the southern Caribbean west of Barbados and north of Trinidad and Tobago. These islands are jointly owned by St. Vincent and Grenada. You will find about seven hundred small islands and isles that makes up the destination. The majority is uninhabited. Sailing in the Grenadines is done all throughout the year, but the period December to June are the most popular periods for Caribbean sailboat charter vacation in this part of the region. The Northeast Trade Winds also plays an important factor in sailing in the this part of the region as well. One of the things that you will enjoy in the Grenadines is the number of regattas you can enjoy during the popular sailing months of the year. The destinations of Union Island and Bequia will provide you will all the yacht charter needs you will have in the Grenadines. Additionally, Grenada is one of the good starting points for a sailing vacation in the Grenadines as well. While sailing around in the Grenadines you will find opportunities to play golf, snorkel, scuba diving and visit one of the top marine attractions in the Caribbean. There are lots of ways you can enjoy your vacation in the region. However, awesome vacationing in the different resorts and hotels are or even taking a cruise are. 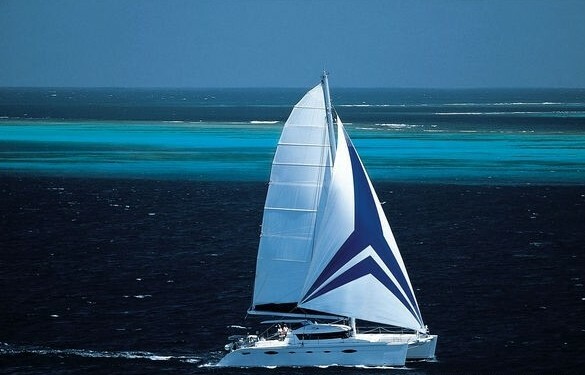 Caribbean sailboat charter vacation will provide with great flexibility on your holiday. You will determine when you leave a location and how much fun you have.